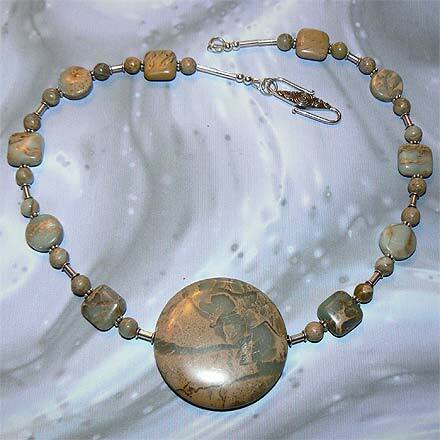 Sterling Silver African Blue Opal aka Impression Stone Necklace. See Closeup. 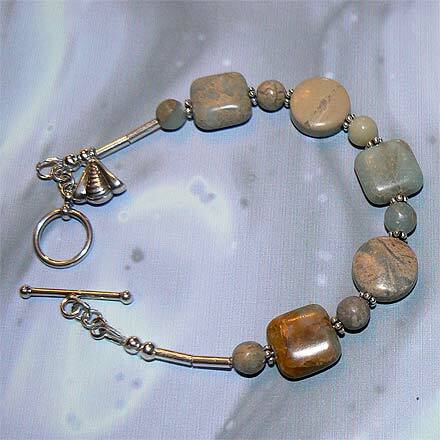 Sterling Silver African Blue Opal aka Impression Stone Bracelet. 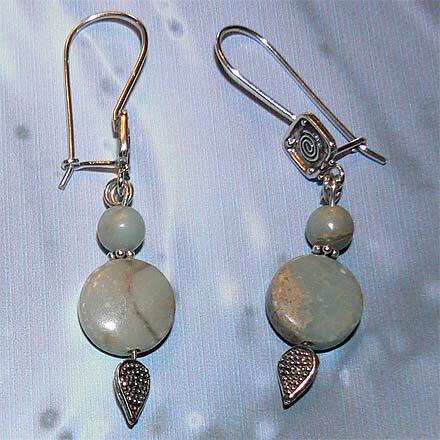 Sterling Silver African Blue Opal aka Impression Stone Earrings. This stone is called African Blue Opal, a light blue-green silicate like agate, jasper and common opal, amongst a light brown matrix. The result is a stone that is evocative of aerial pictures, seasides, lakes and ponds. 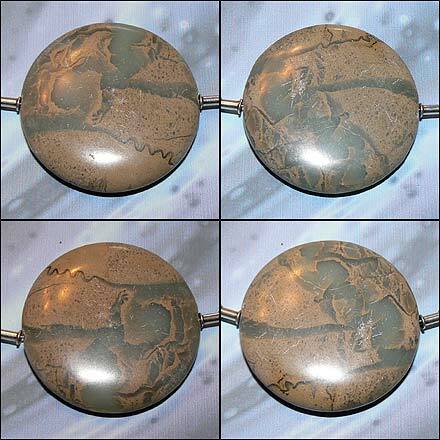 Its nickname is Impression Stone, or Impression Jasper, for all the impressions of scenery that come to mind, no doubt. This pendant or focal stone is double-sided so the necklace can be flipped for four different scene possibilities from one stone! This focal stone reminds me of a river delta seen from an aerial photo.